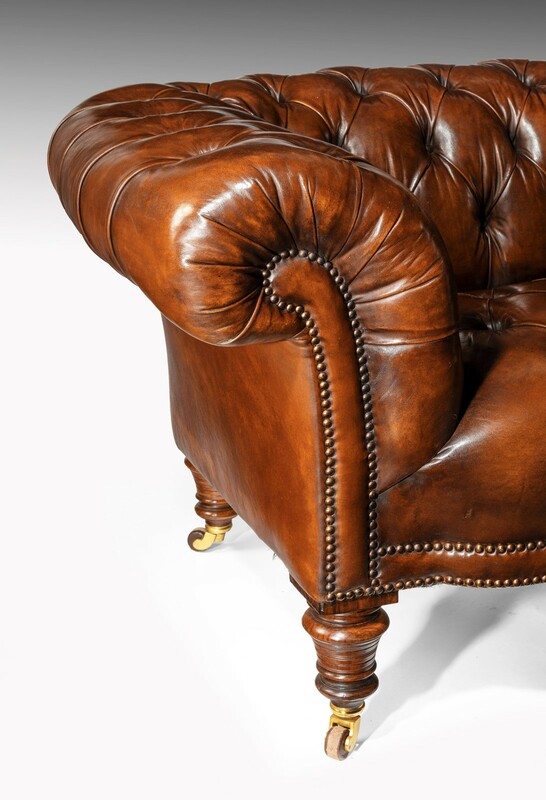 An extremely well drawn 19th century figured walnut deep buttoned leather upholstered Chesterfield by Gillows, the back legs stamped 5359 which is a four figured Gillows numbering stamp. 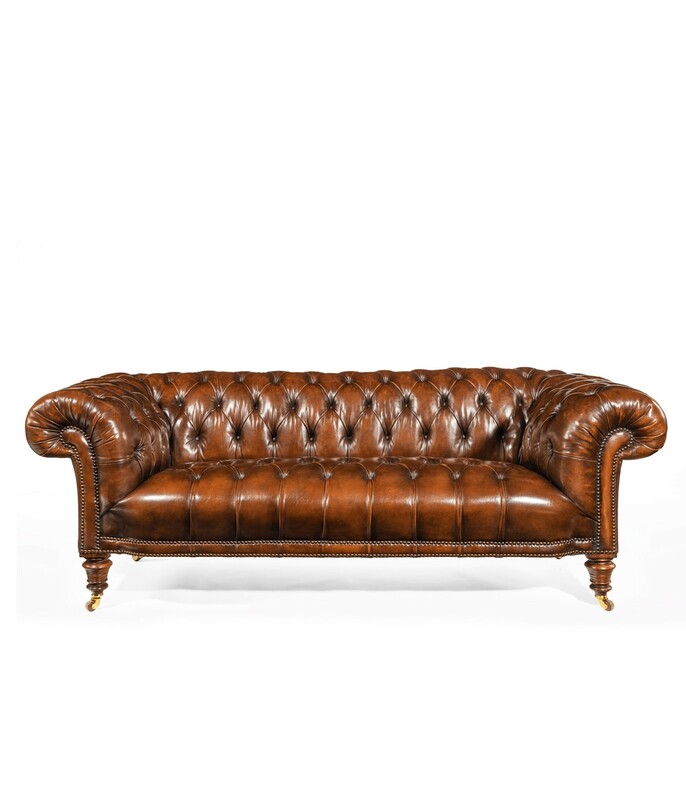 Having beautifully pronounced shaped scrolling arms and shaped breakfront edge this quality chesterfield has been upholstered in finest deep buttoned hand dyed leather hyde. English dating to circa 1860-1880. 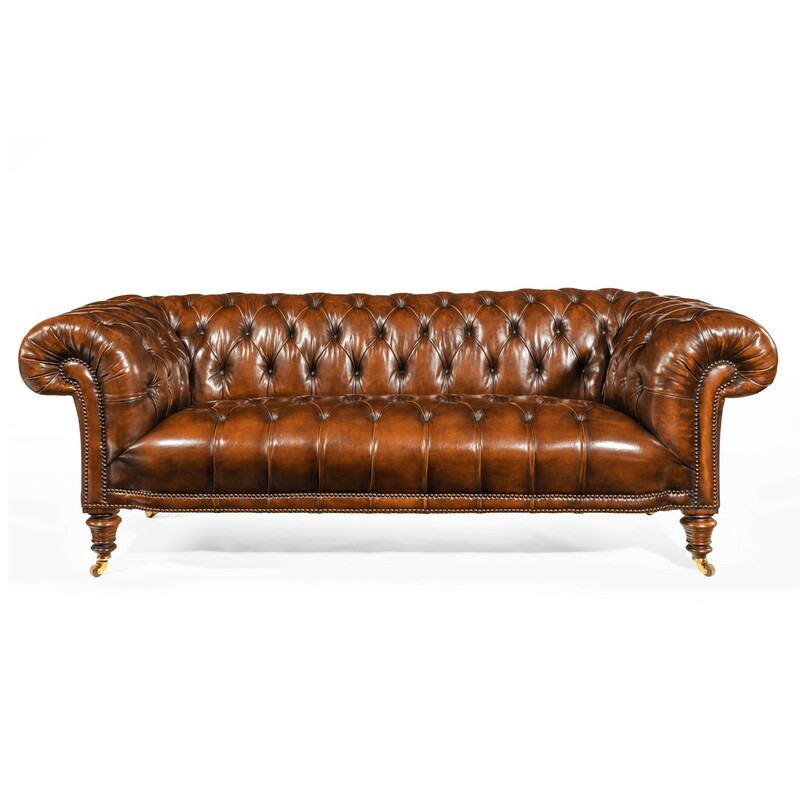 The elegant design has a sprung deep buttoned seat, back and arms making this a very comfortable chesterfield. 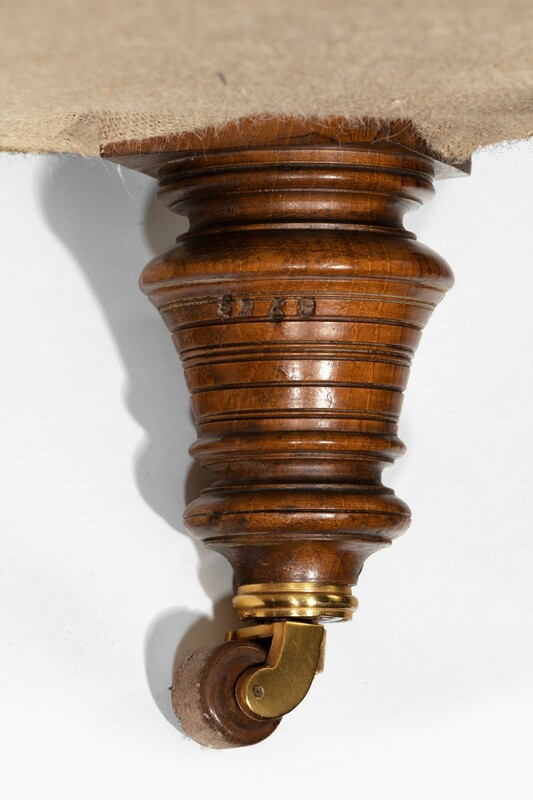 The front and back turned legs being made of solid figured walnut retaining their original refurbished gilt brass castors. 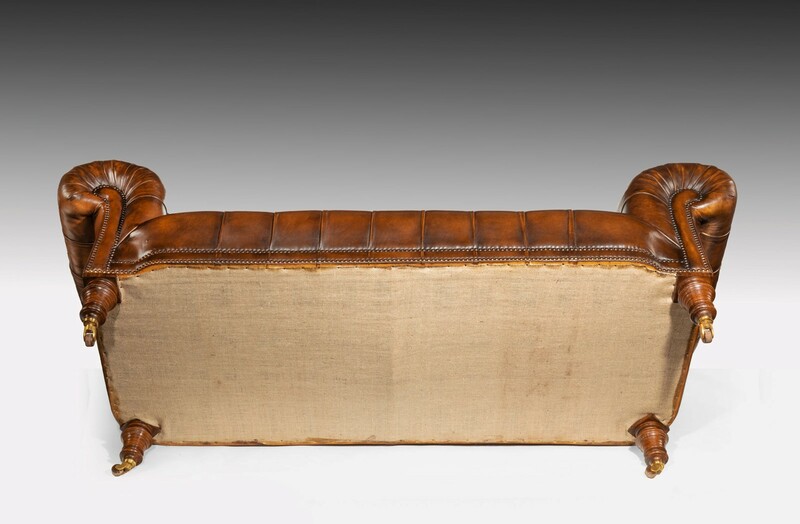 It is rare to find a chesterfield with front and back turned legs especially of such quality figured walnut which are all the signs of an extemporary maker such as Gillows. The underneath having the bow central bar running front to back also a being another with the frame being extremely heavy in weight. 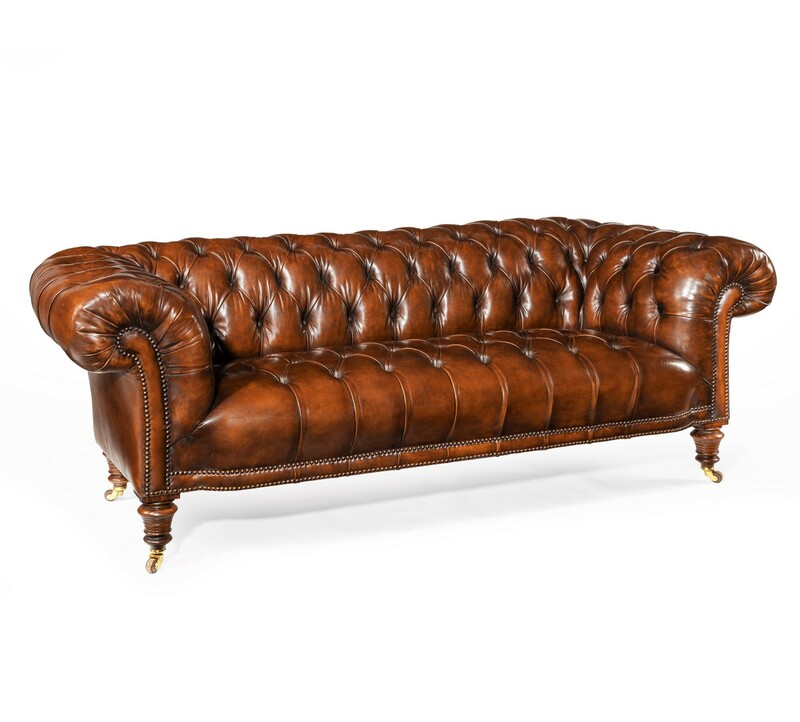 A superb quality chesterfield having the sought breakfront and scrolling arms upholstered in a stunning hand dyed leather with brass studwork. 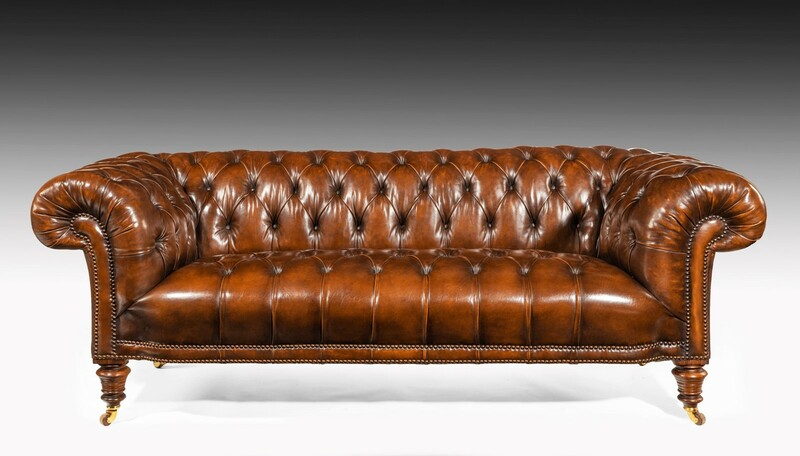 A very desirable chesterfield to any private individual with a discerning eye or collector alike.